This photo from the Carole Hughes collection has all the hallmarks of being taken by a professional photographer, possibly working for the press, and the quality of the image seems to indicate that it was taken either from the original negative or from a very good print. 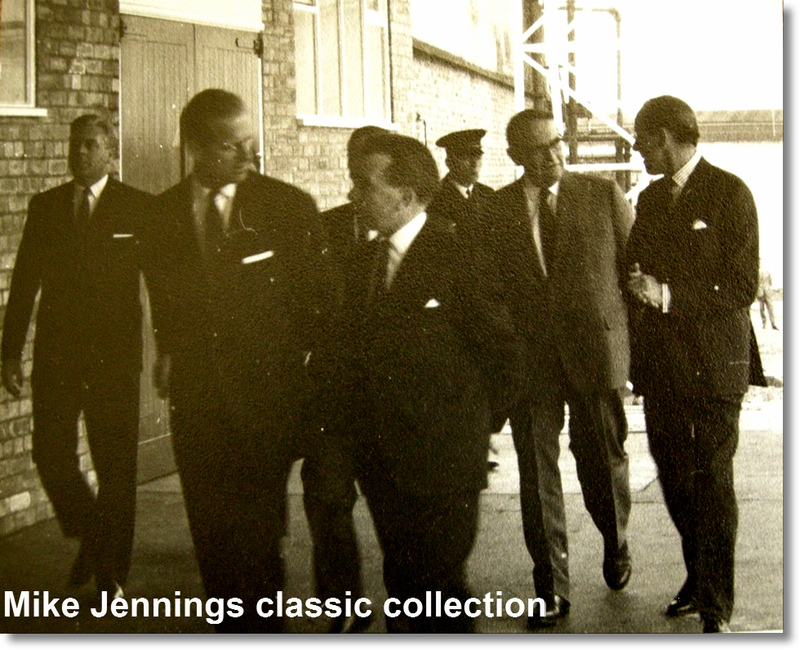 It dates back to 1969 when the Duke of Edinburgh, seen on the left of the photo, visited Middlewich to perform the official opening of British Salt's new factory in Booth Lane, which replaced all the other salt works in the town and is still going strong today, forty-three years after it opened. 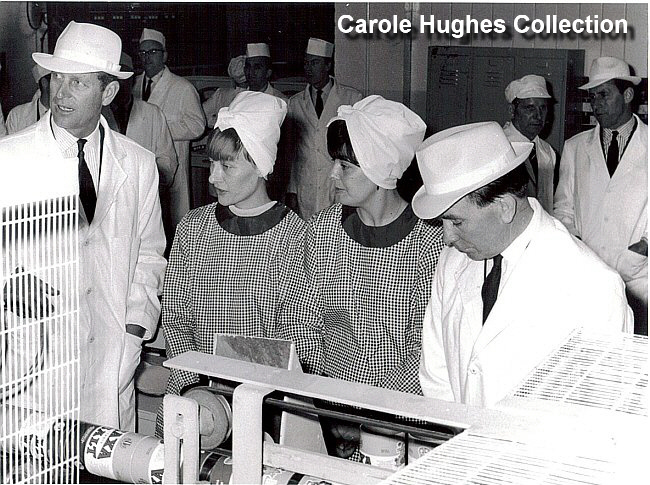 The Duke obviously took the opportunity to visit the nearby RHM Foods Factory (which, until the year before, had been known as Cerebos) and inspect the Saxa Salt packing line. When Carole posted this photo on Facebook, Robert Sheckleston, Martin Spurr and Andy Kendrick were swiftly identified as being part of the scene and we've no doubt at all that it won't be long before someone identifies others in the picture. I've just shown this to my Mum, as she worked there at the time. The lady on the left is Anne Buckley and the lady on the right is Cynthia Barlow. The gentleman on the right was the boss, but she can't remember his name, sorry. Prince Phillip is obviously keen to learn what's in store for him as he makes his way into the factory. Some of the people with him will probably be secret service men, but some will, no doubt be from top management at RHM and British Salt. Can anyone recognise any of them? The Prince can't wait to get cracking on his tour of RHM. Does anyone know who the gentleman to his right is? And who's that bringing up the rear? Do you remember this auspicious occasion in the life of one of our town's biggest industries, now sadly defunct? 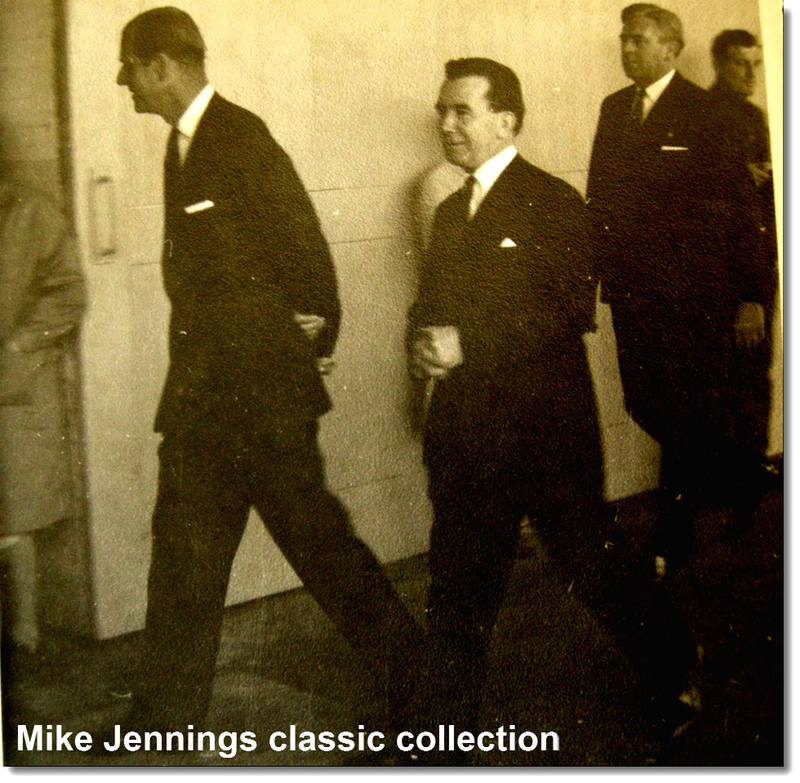 Many thanks to Mike Jennings for the additional photos and to Andrea Astles for her information. 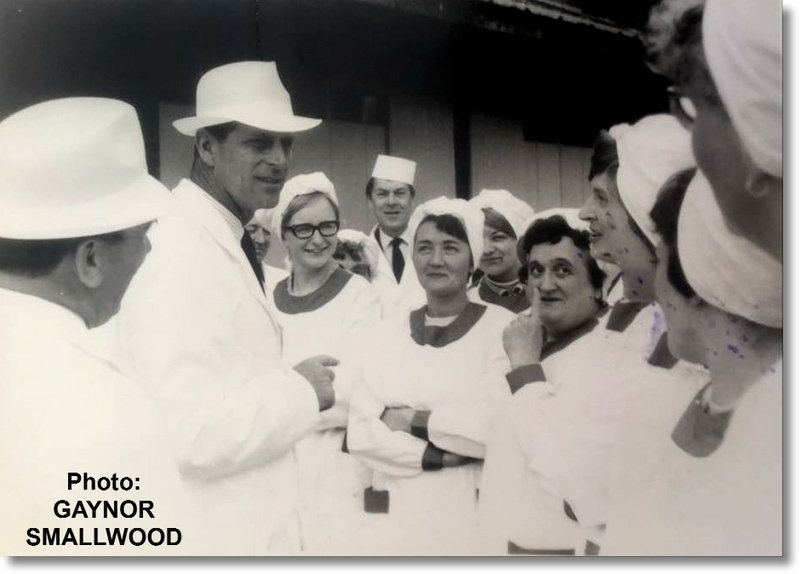 And here's another photo taken on the same occasion, this time from Gaynor Smallwood and reproduced with her permission. Labels: ANDY KENDRICK, BRITISH SALT, DUKE OF EDINBURGH, MARTIN SPURR, PRINCE PHILIP, ROBERT SHECKLESTON, SMALLWOOD GAYNOR. who's who in this photo? because some of the names mentioned in the photo l went school with and i was only 7 or 8 years old. I remember as the school took us up to the factory and we stood on the side of the road . the duke came by helicopter and it landed on the RHM football field opposite the factory.might have just been a field then though. Can anyone help with this? Obviously we could do with identifying as many people as possible in the photo. The lady next to the Duke is Ann Buckley she lives on booth lane i am unable to say who the other lady is. Just shown my mum, as she worked there then too. Lady on the left is Anne Buckley and the lady on the right is Cynthia Barlow. The gentleman on the right was the boss, but she can't remember his name sorry. Thanks Andrea. Yes I did see your comment, and I'v been meaning to add it to this entry. Thanks for the reminder! I was working at St Mary's School at the time and I have a vague recollection of staff taking a small party of schoolchildren to wave to the Duke on his visit to Cerebos.